Polish Mazurka – Plain. With Pumpkin Spice Caramel below. Caramel and pumpkin seemed fitting this time of year and are also two of my favorites. 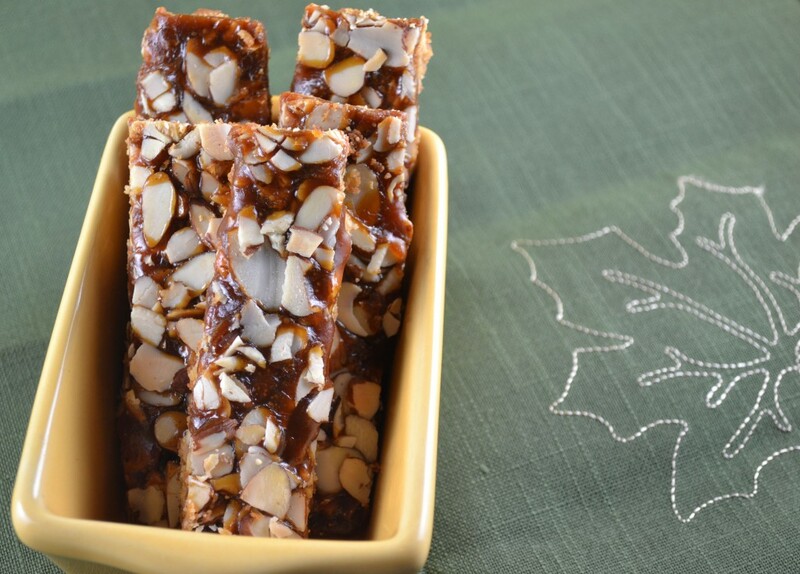 The deep full flavor of homemade caramel and the zip of fall spices compliment this flakey rich cookie. Though it can be tricky, I insist on making caramel from scratch without corn syrup. I try to avoid corn syrup and use it only when necessary (like in marshmallows for example). Other than a small difference in texture and a more fool proof process, corn syrup really doesn’t provide any benefit to caramel and I think it tastes better omitted. So why make two versions? One with pumpkin spice caramel and one without? For one thing, eating each one is a completely different experience. But mainly, the original recipe is so easy and delicious; I just couldn’t leave it out. Lightly grease an 8×8 inch baking pan. Mix egg white with water and brush over the top of dough. Sprinkle with almonds. Bake 45 minutes until firm and lightly browned on the edges. Cool and slice into bars. Bake chilled dough for about 35 minutes. Meanwhile heat sugar over medium heat in a heavy bottomed wide pan. When sugar begins to melt, whisk or stir until all of the sugar is melted (it will clump at first but eventually melt). Stop stirring when the sugar has melted. Right before the sugar comes to a boil (or about 350 degrees), stir in butter and cream. Whisk in pumpkin puree, salt, and spices. Remove from heat. 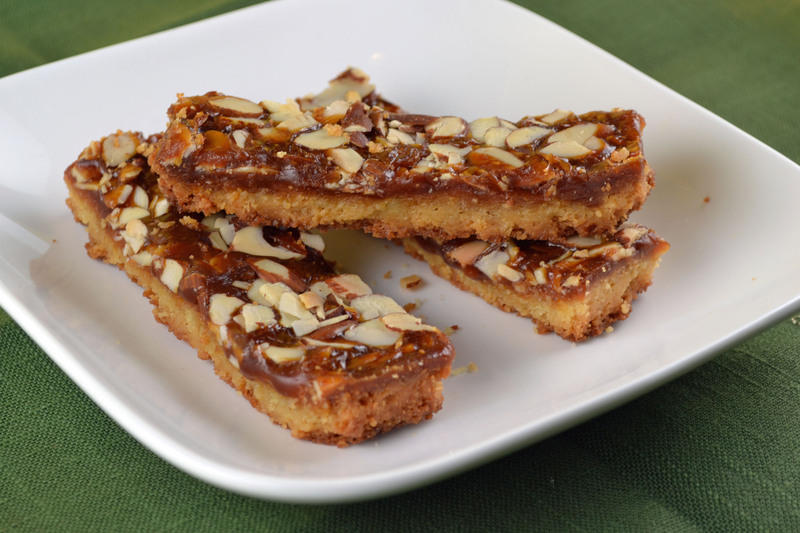 Pour an even layer of caramel, about 1/8 of an inch deep, over pre-baked dough. 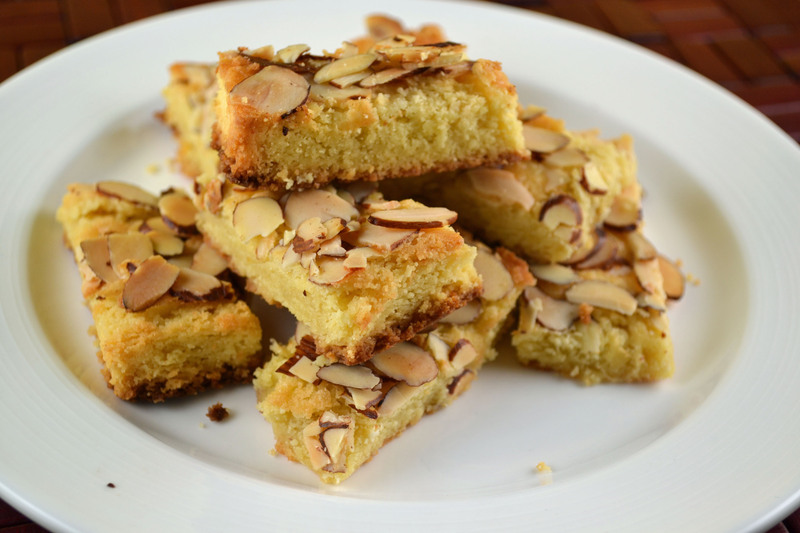 Sprinkle with almonds and return to oven for about 10-15 minutes or just until almonds begin to brown. While both of these sound delicious, it’s the simple one that is calling my name.